Carmen Ortiz was the US attorney in Massachusetts for more than seven years. 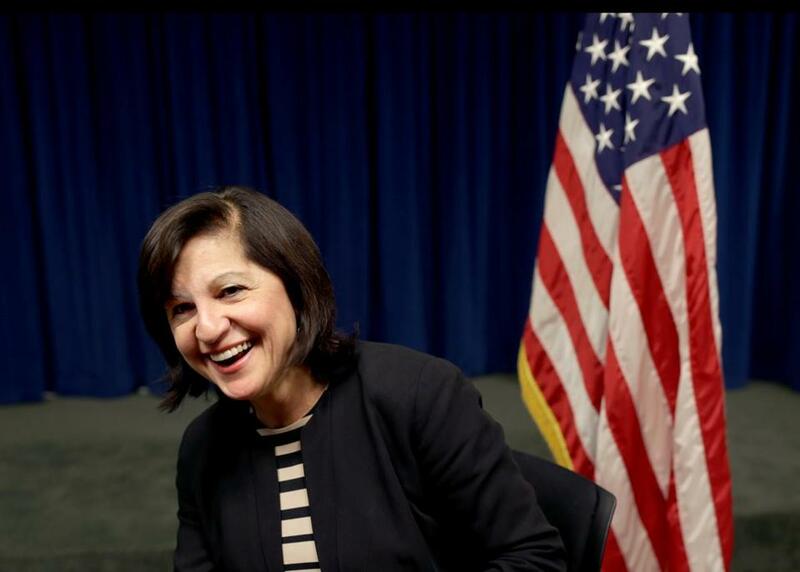 Former US attorney for Massachusetts Carmen Ortiz has figured out the next chapter of her career, and it is taking her into the private sector. Ortiz this week joins Anderson & Kreiger to handle internal investigations, corporate compliance, and litigation, as well as to expand the 30-attorney Boston law firm into a new area: white-collar defense. She will work part time until January while she juggles a one-semester teaching commitment at Boston College’s law school. Landing Ortiz is a major coup for the relatively small Anderson & Kreiger. She is one of the most prominent lawyers in the city, following a seven-plus year tenure overseeing the US attorney’s office in Boston. Before stepping down in January, she led the successful prosecutions of James “Whitey” Bulger and Dzhokhar Tsarnaev. Ortiz has had a long career in public service roles — interrupted by a brief stint in the late 1980s at a small South Shore law firm — that culminated with her nearly two-decade run as a federal prosecutor in Boston. When she was promoted to US attorney in 2009, she was the first woman and the first Hispanic to serve in that position in the state. During her time in the US attorney’s office, she at one point worked with David Mackey, who now is managing partner at Anderson & Kreiger. Mackey said he found her to be friendly and was aware of her reputation as a hard worker and skilled trial lawyer. Mackey left the life of a prosecutor behind in 2001 by joining the Massachusetts Port Authority as its general counsel. He also served as Massport’s interim chief executive in 2011 and 2012. Mackey and Ortiz reconnected at a March gala held by the Massachusetts Black Lawyers Association. They had a follow-up discussion later in the spring over lunch at Cafe Fleuri, and Mackey invited Ortiz to meet with some of the firm’s partners. Developing a white-collar defense practice will be just one of Ortiz’s tasks, but it will give her an opportunity to build a business of her own within the group, Mackey said. She is barred until January 2019 from representing any client that is the subject of prosecutors in the Boston US attorney’s office in court or in meetings, though she can offer strategic advice to them and will be allowed to represent clients before other federal agencies and in state proceedings. Her tenure as US attorney was not without controversy. She faced criticism at times for overzealous prosecution, particularly in public corruption cases. Ortiz said all of her cases faced many levels of review within her agency, and that her team did its best to rely on the evidence to come up with the correct charges. Former Boston police commissioner Ed Davis said Ortiz excels at preparing for a case and working as part of a broader team. Davis, now a security consultant who sometimes does work for Boston Globe Media, said he and Ortiz have worked together at various times. Their professional relationship dates back about 30 years, to when he worked in the Lowell Police Department and she was in the Middlesex district attorney’s office.